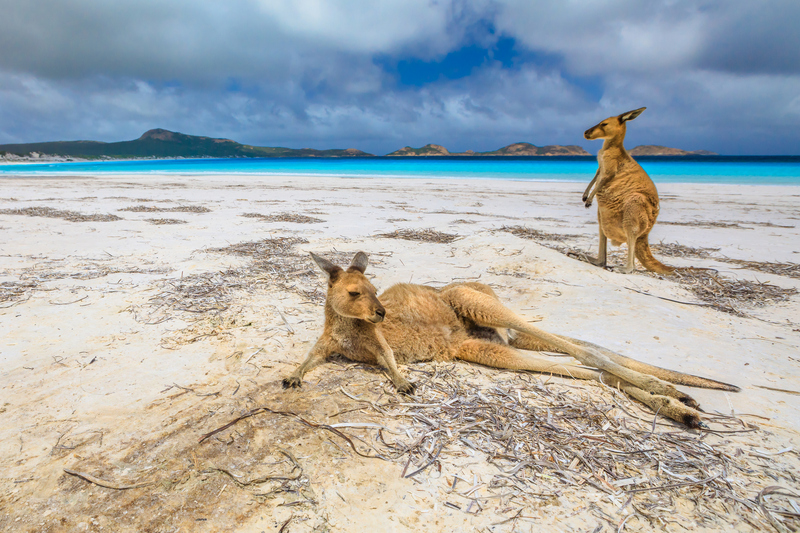 BEFORE I arrived in Australia I’d been told many times I would never see anywhere else like it. And, in only my second day, standing on a secluded and rugged bay overlooking the shimmering blue water of the Indian Ocean, I couldn’t help but agree. We were on Rottnest Island, a truly unique beauty spot just a half-hour ferry ride off the coast of Fremantle in Western Australia. Artefacts found on the island date back tens of thousands of years, making it of special significance to Aboriginal communities. Today, it is a holiday paradise offering world-class beaches, walking and cycling trails, water activities and alfresco dining. We spent a sun-kissed Sunday afternoon here, but it could easily have been a longer visit. We made the most of the time we had by taking a bus tour round the car-free island, every turn in the road revealing another incredible vista. As beautiful as it is, there is something even more special about Rottnest Island. It comes in the form of the adorable quokka, a cat-sized marsupial with kangaroo-like limbs and one of the cutest faces you’re ever likely to stumble across. And with around 10,000 of these little guys running around Rottnest, stumble across them you will. It’s hard to avoid getting up close to the pint-sized roos and the wee posers have been known to appear in a selfie or two. Back on the mainland, Fremantle must be one of the most laid-back cities in the world. Even its truncated name, Freo, sounds suitably chilled. Cityscape of Perth WA from Elizabeth Quay Just after sunset. It was the perfect place to relax and recharge, fuelling up on sourdough toast and vegemite in one of the many bustling eateries or taking a walk along the beautiful Bathers Beach. The compact city centre, a mix of nostalgic and bohemian, is a delightful mish-mash of architecture housing all manner of independent shops and bars. But the focal point of the city is the Fishing Boat Harbour. It’s Australia’s largest small boat harbour, built in 1919 and still base to a wide range of commercial fishing vessels. It is also home to dozens of restaurants and pubs, including the popular Little Creatures Brewery, as well as a museum and numerous sculptures by the renowned Greg James which represent and celebrate the city’s fishing heritage. There is one particular Greg James statue that, as music fans from Scotland, we were most interested to see. The sculpture of Bon Scott, the late AC/DC singer from Kirriemuir who emigrated to Fremantle at a young age, captures him in his famous rock star pose and is one of Freo’s most popular photo spots. There are two more must-dos in Fremantle. The buzzing Fremantle Market, housed in a striking heritage building and featuring more than 150 stalls selling fresh produce, clothes and gifts. And also Fremantle Prison, which is Western Australia’s only World Heritage-listed building. Built by convicts in the 1850s, it was only decommissioned as a maximum security jail in 1991 and is now open for visitors to explore the cells and investigate the dank, underground tunnels. 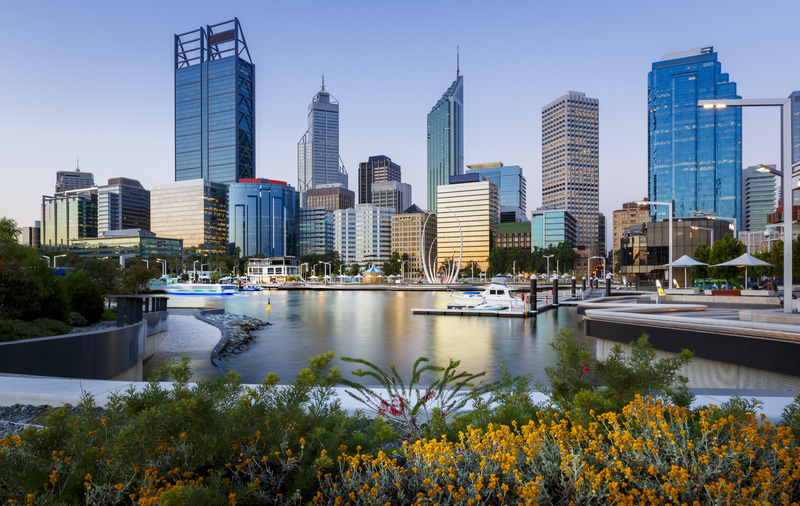 Perth, a 30-minute drive away, is Western Australia’s largest city and the fourth most populated in the country. But despite its size, we felt it was in Freo’s shade. That’s not to say it doesn’t have its attractions, but it does feel like a very business-orientated city. We took a walk through Kings Park. At 400 hectares, it’s one of the largest inner city parks in the world and is visited by more than six million people every year. A mixture of grassed parkland, botanical gardens and natural bushland on Mount Eliza, with a beautiful war memorial and a treetop walkway, it’s well worth a visit, especially if you time it to watch the sun setting over the water. Down near the quay is The Bell Tower, which includes 12 bells dating back to the 14th Century from London church St Martins In The Fields, offering not only great views but the opportunity to chime a bell yourself. Unfortunately, the bell was also ringing to indicate our time was up on the west coast.